Protect your lungs! 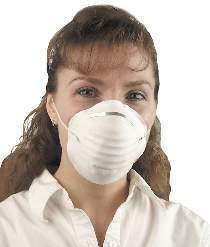 Dust masks filter out dust, pollen and powders in the workshop, garden, and around the house. Elastic headband, self adjusting nose area for comfort. Package of 5.